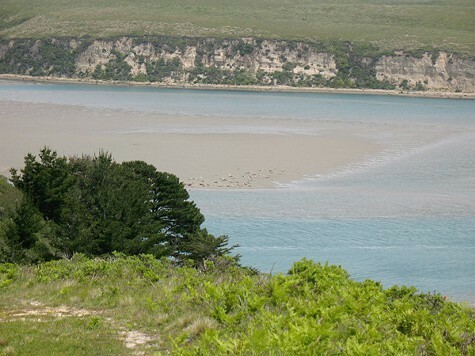 The Drakes Bay Oyster Company’s relentless push to overturn the congressional wilderness designation for Drakes Estero got closer to the end of the road on Monday when the company’s army of corporate lawyers filed a petition for review to the US Supreme Court. The millions of advocates for our national parks, wilderness, and coastal protection refuse to let the Koch Brothers-funded Pacific Legal Foundation — the oyster company’s main proponent — and their public lands exploitation interests destroy Drakes Estero, the ecological heart of the Point Reyes National Seashore. The oyster company’s petition is full of false statements of fact and exaggerations. For example, the company ridiculously likens restoring Drakes Estero wilderness to blowing up the Hoover Dam. Closing down the company’s non-native oyster operations in Drakes Estero as long planned will not have an impact on California’s oyster market, as the petition asserts, because the company only produces 3.5 percent of the West Coast oysters. Humboldt Bay, the state’s largest oyster growing area, produces more than 70 percent of California’s oysters, and is in the process of expanding by 50 percent. Native oysters were never abundant in Drakes Estero, and the oyster company’s decision to stubbornly ignored peer-reviewed science on this issue doesn’t change the facts. The company’s petition to the Supreme Court is a desperate move full of desperate arguments. The Ninth Circuit Appeals Court found that the company was unlikely to show that then-Interior Secretary Ken Salazar abused his discretion when he let the forty-year oyster lease at Drakes Estero expire on its own terms in November 2012. As you might recall, the oyster company’s owner, Kevin Lunny, admitted in his federal court declarations that he was given written notice by the Interior Department in 2005 that after November 2012 Drakes Estero would be transitioned to wilderness. This transition follows the clear direction from Congress in 1976 under the Point Reyes Wilderness Act. Mr. Lunny knew the deal when he signed a contract with the US Park Service yet now claims otherwise in his Supreme Court petition. The company’s petition also misrepresents Salazar’s decision to let the oyster lease expire as long planned. Salazar’s November 29, 2012 decision memorandum laid out the reasons why he relied on the public policy underlying the 1976 congressional wilderness designation for Drakes Estero. The Ninth Circuit Appeals Court correctly noted that a 2009 bill amendment authored by US Senator Dianne Feinstein (known Section 124) “left him free to consider wilderness values and the competing interests underlying a commercial operation in an area set aside as a natural seashore.” The company’s petition ignores the clear language of Salazar’s decision memo that indicates the care and thoughtfulness he exercised in weighing these competing values. As Interior Secretary, Salazar was the trustee of America’s public lands and the decision was clearly within his sphere of expertise. To claim Salazar’s decision was “arbitrary and capricious” because the company disagrees with his discretionary decision shows the arbitrary nature of the company’s petition. The inconsistency is readily apparent in the oyster company’s green-washed “stewardship” of Drakes Estero. The company conveniently omits any mention of its egregious eight-years-and-counting violations of the California Coastal Act making it one of the worst offenders in the Act’s history. Instead of complying with the Coastal Commission’s second enforcement action to reverse environmental damage to the estero during the company’s short tenure — a unanimous Cease and Desist Order from February 2013 — the company instead sued the commission and has taken no steps toward meaningful compliance. The company continues to grow invasive Manila clams and foster the spread of a nasty invasive species known as “marine vomit,” which are causing increasing harm to this biologically rich area. Thousands of pieces of the company’s plastic have polluted beaches all over the national seashore. The company’s petition for review also continues to push junk science by Corey Goodman, a biased neurobiologist with no experience in marine ecosystems whose complaint attacking the analysis of noise from the company’s operations was rejected by the federal Office of the Inspector General. The 2012 IG report concluded that “We found no evidence, documents, DEIS [draft environmental impact statement] revisions, or witnesses that supported the complainant's allegations." The company’s false claims denying impacts to harbor seals from its operations are similarly specious. An investigation by the federal Marine Mammal Commission concluded “mariculture activities in the estuary do disturb harbor seals.” The company and its advocate, Goodman attacked this report. The 2012 National Academy of Sciences Report on the Draft EIS for the oyster operation found that the pro-wilderness “Alternative A” [removing the oyster operation] was by far the environmentally preferable alternative based on the best available peer-reviewed science as compared to Alternatives B, C, and D [the “action” alternatives representing varying levels of oyster production]. The company’s inexorable attacks using questionable science to challenge the conclusions of the draft and final environmental impact statements regarding the appropriate management for Drakes Estero fly in the face of the well-supported conclusion that the “environmentally preferable” alternative is to restore Drakes Estero to wilderness. Point Reyes National Seashore draws 2.5 million visitors a year and is the major economic engine of western Marin County. The popularity of this human haven is not dependent in the least on the Drakes Bay Oyster Company. The company bizarrely claims that the Interior Secretary's discretionary decision — authorized by one specific law — to let expire on its own terms one permit, for one company, in one area of one national seashore somehow constitutes a matter of "exceptional importance.” The Supreme Court would serve the American people well by rejecting this specious petition and returning our only West Coast marine wilderness to all of us and future generations to enjoy. Amy Trainer is the executive director of the Environmental Action Committee of West Marin.